Susie came to Weller Smith Design looking for someone to help her bring a product to life that she had been envisioning for years. 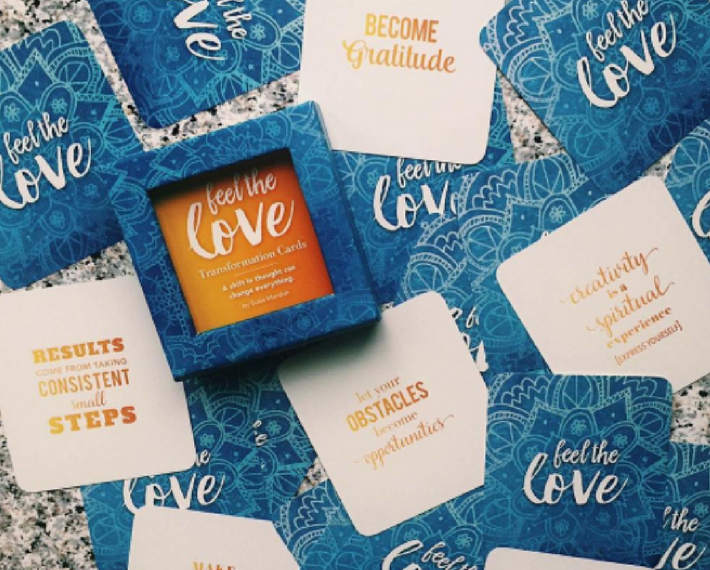 She knew she wanted to create an inspirational deck of cards to share her story as well as spread positive nuggets of love to people across the globe. LeAnna’s love for print and product development coupled with Susie’s desire to produce something that would reach the masses, was the perfect combination to bring this amazing product to the world. 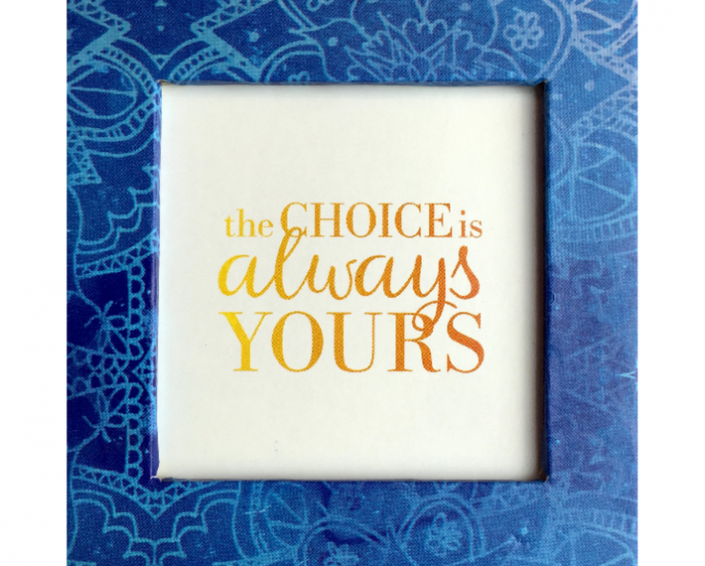 The initial set of printed cards had a percentage of the proceeds go to the MS Foundation. LeAnna was diagnosed with MS in 2013 so this was the perfect way that she could support this cause that is so near to her and her family. 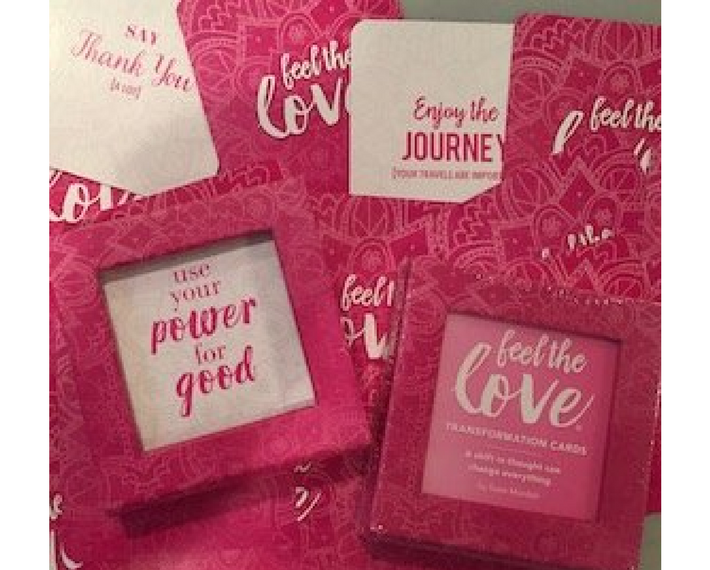 LeAnna sent a few decks to her son’s school and they absolutely love them there…everyone can benefit from this product! This was the perfect mix of friendship and fun! Collaborating with other creative friends is always a blast and Susie was open to all of the ideas that were presented. Everything flowed perfectly…and when that happens…you know it was something that was meant to be. Susie has since created a pink version of the deck to use for special occasions like Valentine’s Day, and Mother’s Day, and also to help those battling Breast Cancer. She has also started an initiative where she partners up with non-profits, or other fundraising events to share proceeds with their causes. To inquire about how you can partner with her, contact Susie here. LeAnna is super talented. Plain and simple. 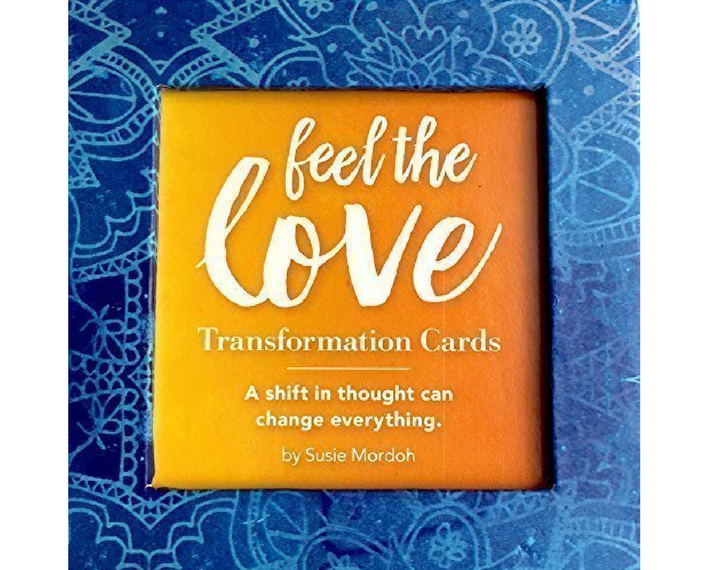 One of her superpowers is the ability to distill your thoughts, translate your ideas and then create well designed deliverables that are filled with personality and spirit. 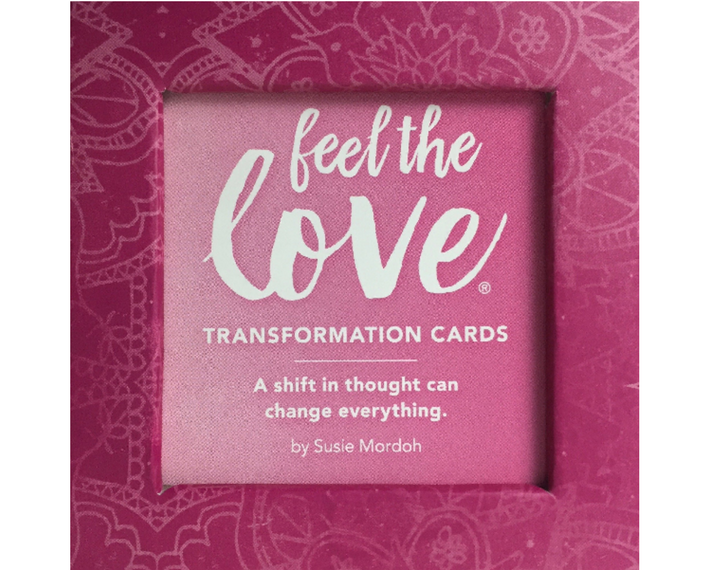 Susie’s Feel the Love Transformation Cards have been featured on gift round up lists, has been a sponsor for Emerging Women’s Live event and has been ranked among one of the best transformation card decks.